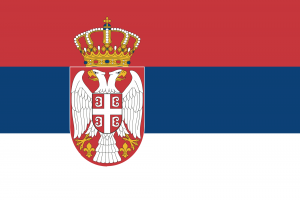 Serbia’s time in the Eurovision Song Contest may have been relatively brief, first appearing in 2007, but they’ve done pretty well in that time, bursting out of the blocks to actual win the competition in their first ever year. They placed third four years back and finished tenth last year thanks to Bojana Stamenov’s ballsy vocals in ‘Beauty Never Lies’. This time around, they’re turning to 22 year old vocalist Sanja Vučić, who’s stepping out from fronting her band ZAA in order to bring the trophy back to Serbia. ‘Goodbye (Shelter)’ is the name of the song – a big, dramatic English language pop ballad with plenty of big notes in all the right places and an all-important key change to keep interest strong in the closing 30 seconds. It’s strong enough to get the Serbs past the semi final stage, but will it wither against the rest of Europe’s best in the Grand Final? Sept points.